Extend-a-Flue™ offers unique and innovative enhancements for masonry chimneys. 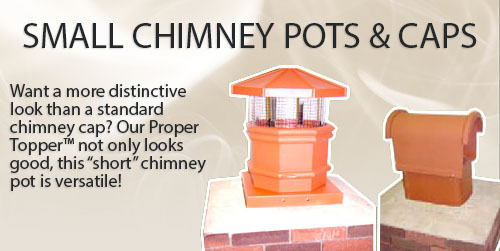 Our patented products include a full line of cost effective chimney pots, chimney toppers, chimney caps and liner termination products. 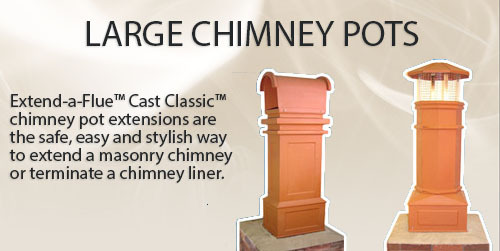 All of our chimney products are lightweight and install with no masonry work or drilling. 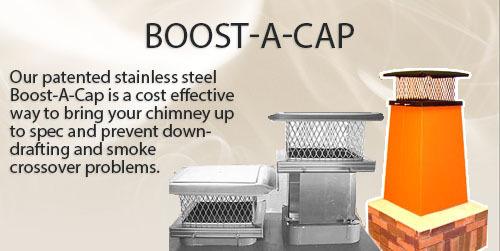 Check out our information under Education / FAQ to see how our products can improve draft, performance and the looks of your chimney.